Blimey, what is it with the Highlands and Islands these days? They get better gigs than some of the towns in that part of the world. 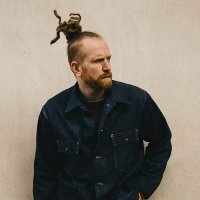 Following in the footsteps of recent Island hoppers Stornoway, KT Tunstall and soon-to-be James Walsh (Starsailor), we have Mr dreadlocks himself, Newton Faulkner doing a Highland jig. And why the heck not, we say! The first confirmed date is 9th November in Inverness, followed by Orkney, Shetlands, Thurso and finally the Isle of Lewis on 13th. Ticket details are a bit varied so pay attention! Both Inverness and Thurso are available to buy now at £15 plus fees, while both Orkney and Lerwick go on sale on Saturday 25th Sep (same prices). The Isle of Lewis gig goes on sale the day before, Friday 24th. Faulkner's last hit success was back in 2007 with "Dream Catch Me" but his 2009 album "Rebuilt by Humans" continues to tick over, especially in Australia where he has notched up some success with the track "I hate Mondays", scoring a number one on the Aussie iTunes Chart. Newton is currently writing new songs, hence these special dates.